RWNZ has released a media release about our oral submission to the Primary Production Committee on the Sentencing (Livestock Rustling) Bill. Rural communities need solid action from Parliament’s Primary Production Select Committee on livestock rustling says Rural Women New Zealand (RWNZ). 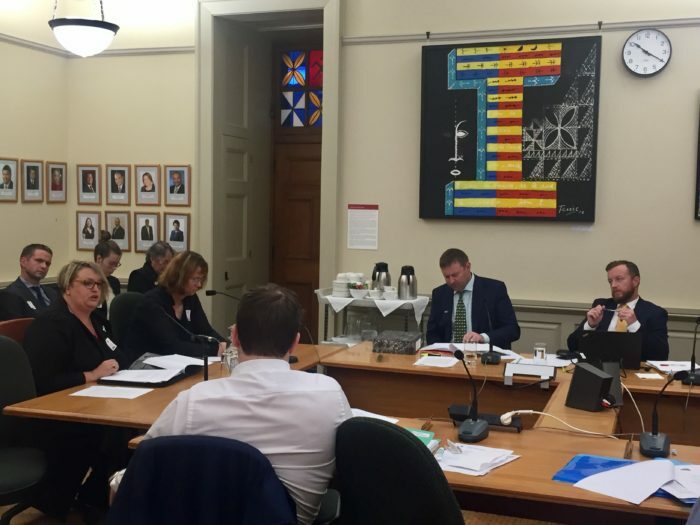 “We presented our oral submission in support of the Sentencing (Livestock Rustling) Amendment Bill to the Primary Production Committee yesterday, and called for more to be done to enable and empower New Zealand’s rural communities,” says RWNZ National Finance Chair, Rachael Dean. “The Committee as a whole was supportive of the submissions which is great to see, however this support needs to be followed by actions starting with rustling being made an offence. “Secondly, there needs to be effective punishment and powers to seize, both of which will act as a deterrent to rustlers. “The current situation with rustling is simply not being dealt with adequately, and it is resulting in significant financial loss for our rural communities. “In addition to financial loss the emotional and mental wellbeing of rural families is affected by rustling which places additional stress on communities. “It is critical that legislation exists to provide adequate support and protection for our rural communities – they are the backbone of our country. “Amendments made to the Sentencing Act as proposed in this bill are crucial, however the fact remains that other pieces of legislation need to be fit-for-purpose. RWNZ wants this latter issue reported back to the House by the Select Committee,” says Ms Dean.